“Portrait of Spirit: One Story at a Time" is presented by Student Disability Service and Department of Architecture at The University of Memphis. Through interviews and photographs, the exhibit highlights the individuality of people with disabilities, and banishes common perceptions about those who live with disability. 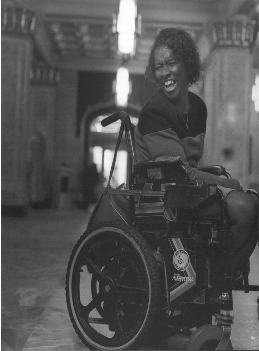 Black and white photographs and interviews tell the story of twenty-five individuals who fight the perception that their identity is limited to their disability. Portrait of Spirit: One Story at a Time will be on display at the University Center on all three floors from November 8th through December 3rd.